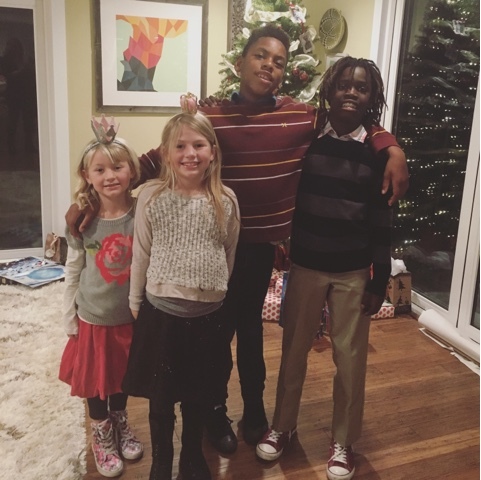 We had a really nice and mellow Christmas this year. It was one of the first times that we didn’t travel over the holidays. My nephew is getting married in January so we will be visiting my hometown in Florida then and will see all of my family. So we stayed at home for the holidays. 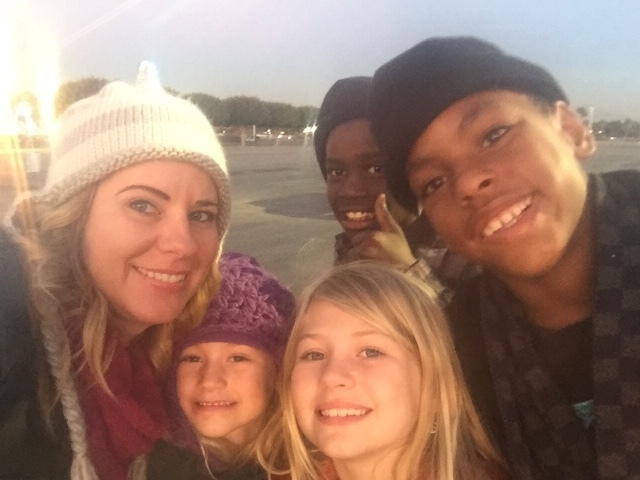 We kicked off the kids’ winter break by going to Winterfest, a local festival with ice-skating, sledding, and a variety of carnival rides. 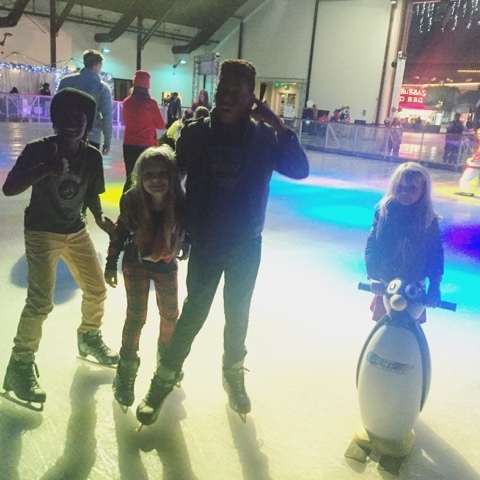 These California kids are not so great at ice-skating but we had a blast. We paid a pretty casual visit to Santa this year since all but one of our kids is OVER IT. 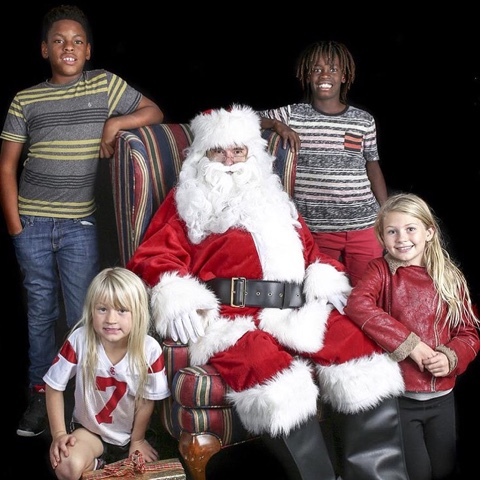 I’m not sure why Karis is taking a knee in a football jersey for Santa. Clear eyes full hearts? 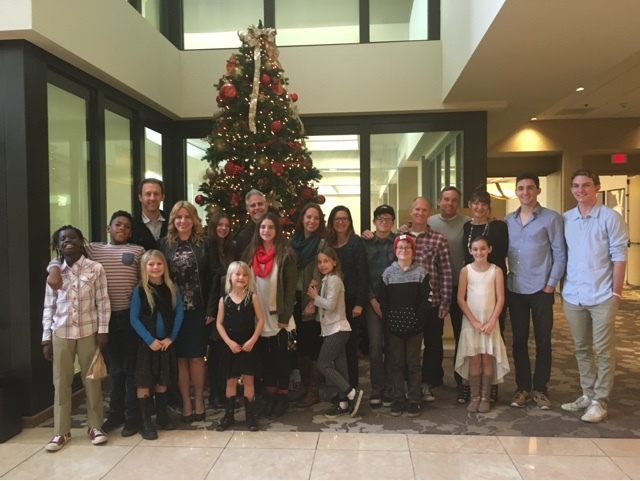 The kids took part in the Christmas musical at our neighborhood church this year. 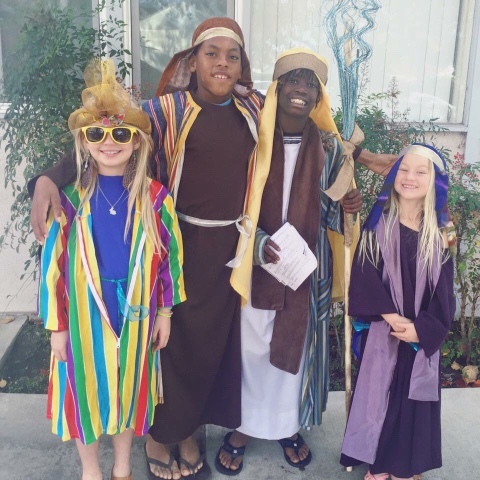 Kembe and Karis were shepherds, Jafta was a guest at the inn, and India was the winner of Israel’s Got Talent. As you can see, it was clearly a biblically accurate portrayal of Jesus’s birth. 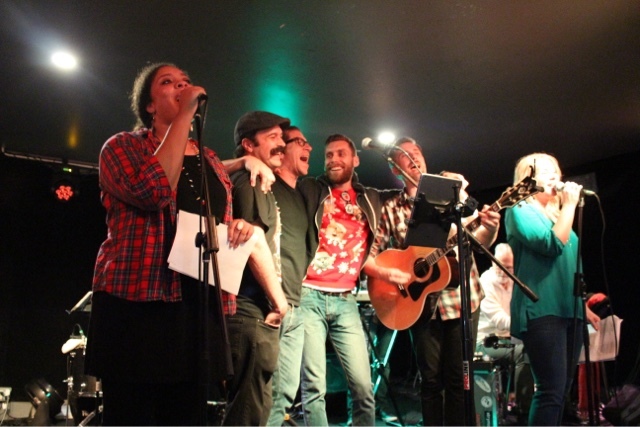 I took part in my Christmas pageant of sorts. 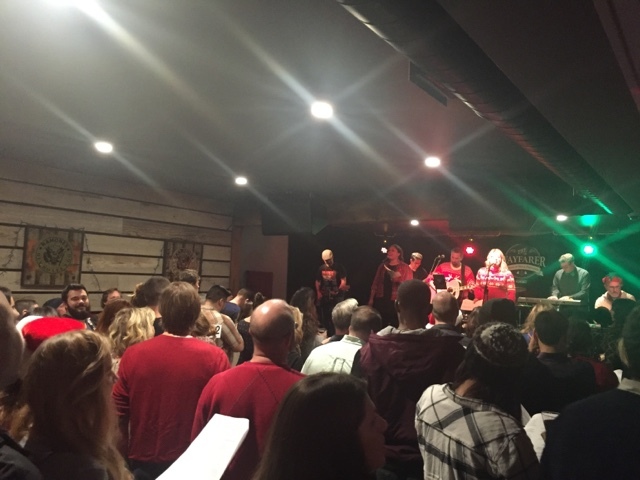 Beer and Hymns did our second annual Christmas carol sing-along. 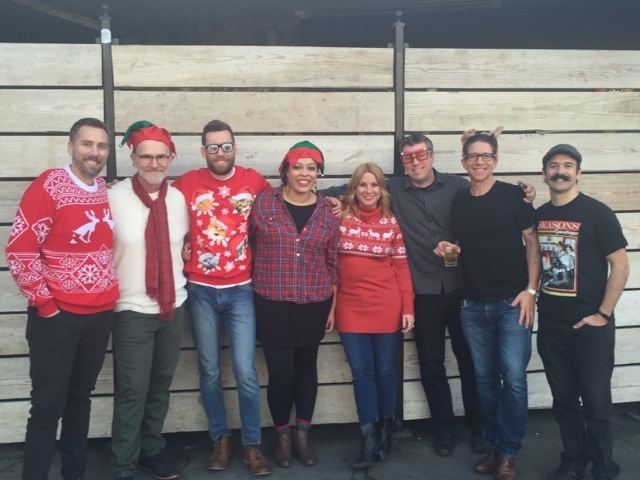 We wore ugly Christmas sweaters and did all of our favorite carols, from the silly to the serious. 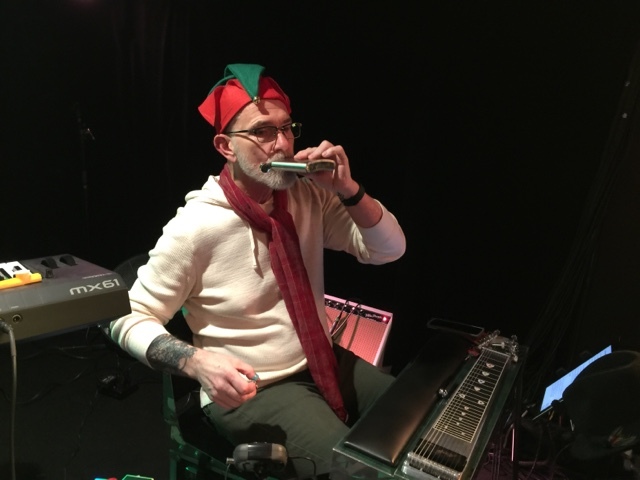 We handed out kazoos and had a chorus of 300 people playing along to Feliz Navidad, but we also had some beautiful moments of sincerity, like singing O Holy Night. It was fun. Maybe a little too much fun. Last year at this event, I remember looking out at the crowd and thinking that I just threw the best Christmas party I had ever been to. And I felt the same way this year. 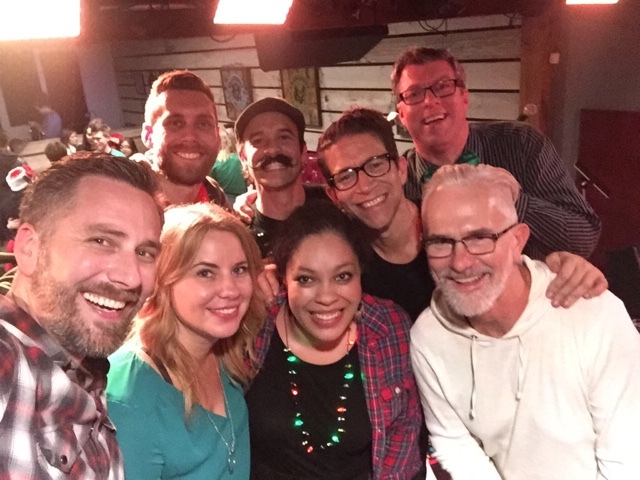 I love getting to do this thing with these people. 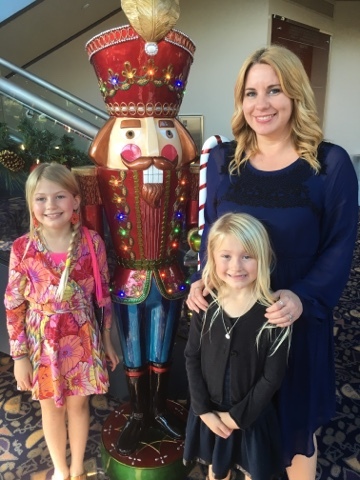 The girls and I also did our annual visit to see The Nutcracker ballet with some friends. To be honest, I have always found The Nutcracker to be a boring and nonsensical ballet. 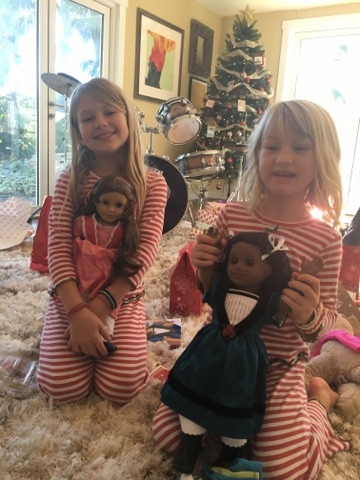 But my girls love this special day every year. 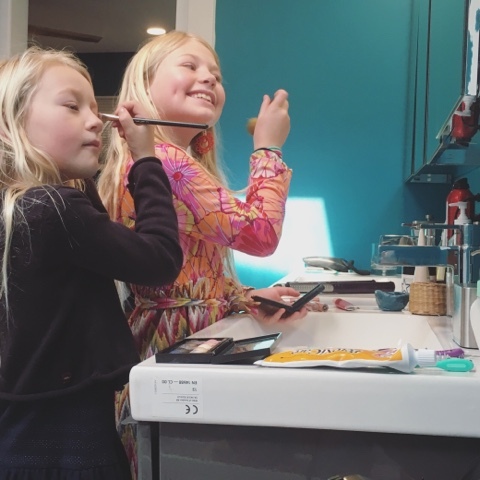 I think they love the fact that I let them wear make up more than they love the actual ballet, but whatever. We will go with it. 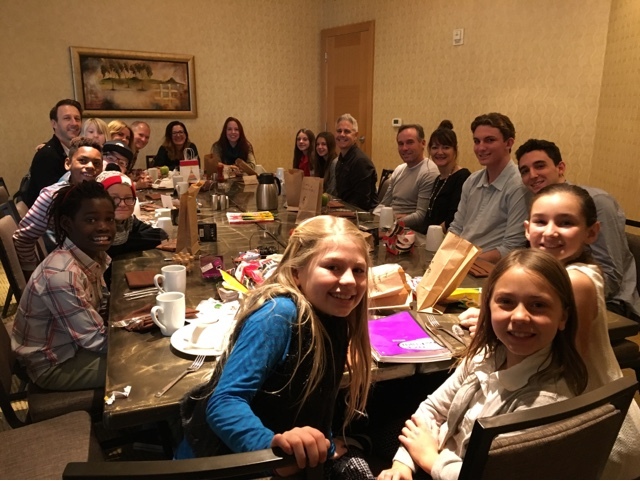 On Christmas Eve, we had brunch with three other families, the same brunch we have have been having on Christmas Eve for the past 15 years. 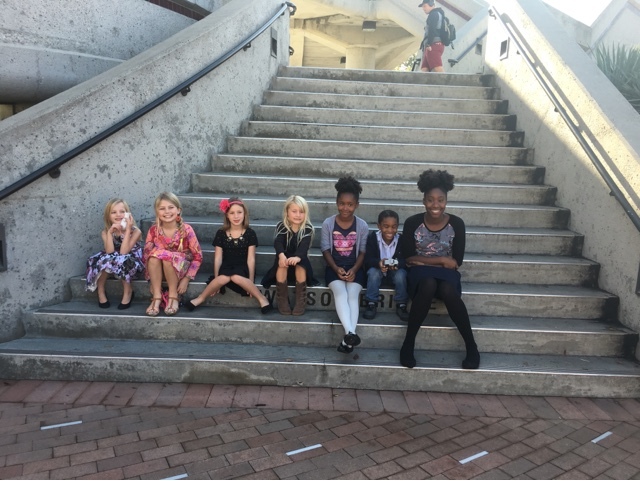 Our kids love this tradition and so do we. The first year we did this there were two children involved. Now, we can barely fit them all in the picture. On Christmas eve, we also took part in a new tradition. We moved this year, and in our new neighborhood, they do a Christmas eve potluck every year. It was a really cool event. After dinner, we all sat around the fire and read aloud from the Polar Express. There is also apparently a tradition where the neighbors pull pranks on the homes of those who didn’t show for the party. 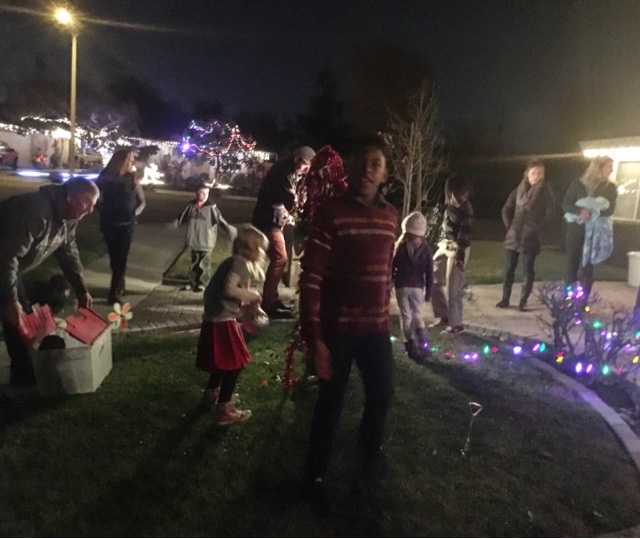 This year involved bombing the front yard of a neighbor with hideous Christmas decorations. Of course, my family loved these shenanigans, and Jafta kept saying how happy he was to be engaging in his first act of public vandalism. 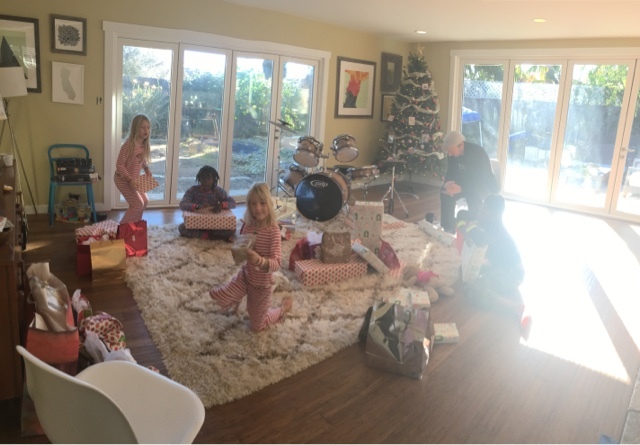 On Christmas morning, we stayed home and opened gifts with the kids. 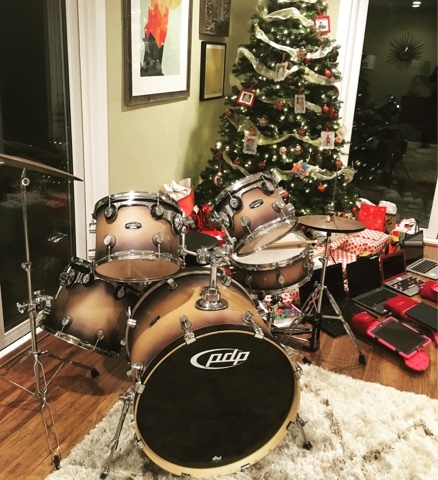 Got the kids a full-size drum kit this year, which I regretted by about 9 AM Christmas morning. 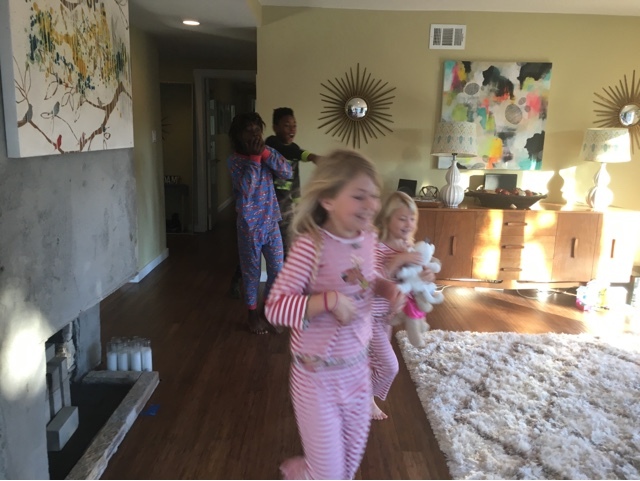 Most of my kids no longer believe in Santa, but they are still just as excited for Christmas morning. This year for Christmas, I designated some of our family devices and laptops to each child. Over the course of the last couple of years, the kids have gotten hand-me-down laptops and iPads from us, but they have always been shared. 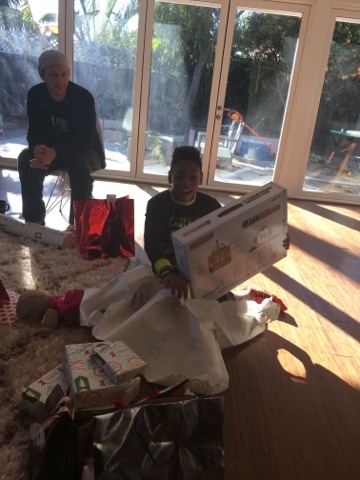 I upgraded my laptop this year, and so did Mark, and so for Christmas morning we set out iPads and laptops that were specific to each child, instead of shared. They are used, and outdated, and most of them we already owned, but the kids were overjoyed that they had THEIR OWN. Our living room is still unfurnished, which is usually something that causes me great annoyance, that on Christmas morning it sort of worked out to have all that space and sit on the floor. 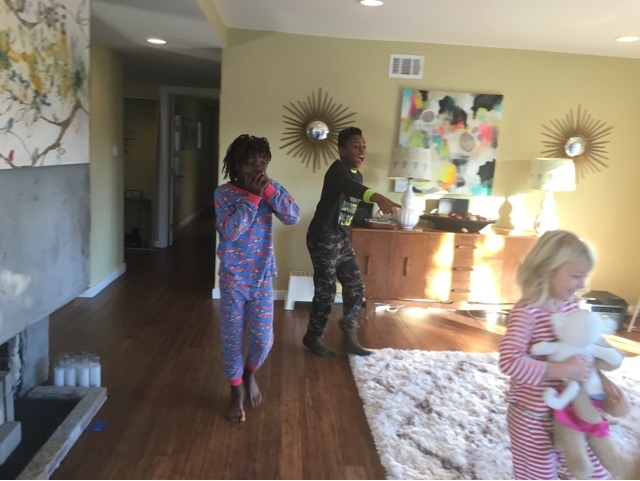 One of the things I liked about not traveling for the holidays is that we had the time to recover our house from Christmas morning. 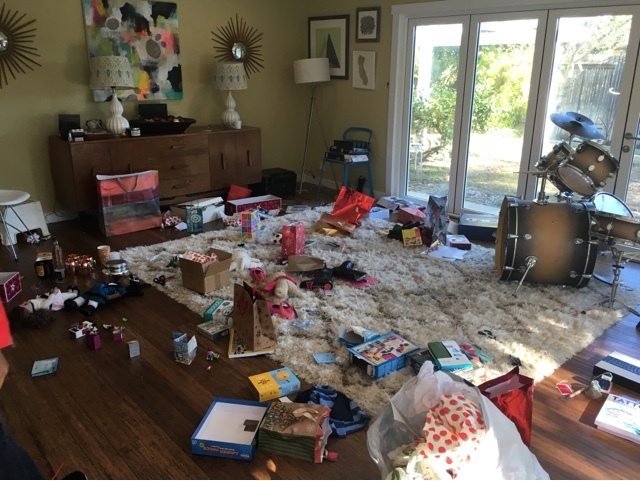 Typically, we fly out on Christmas Day and come home to the wreckage of our Christmas morning several days later. It was nice to have the time to put everything where it belongs. We also had a mellow evening. 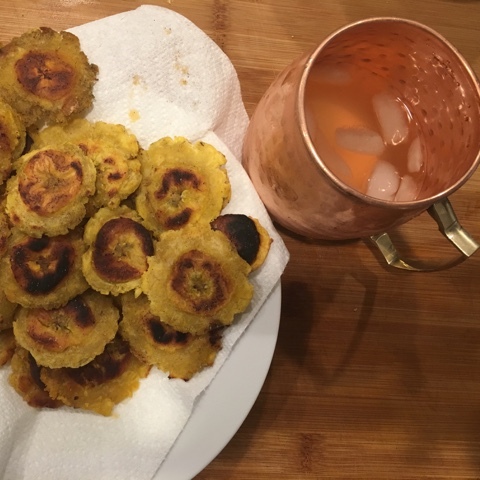 We broke up in the copper mugs, vodka and ginger beer that Mark gave me for Christmas, and toasted with some moscow mules and tostones. 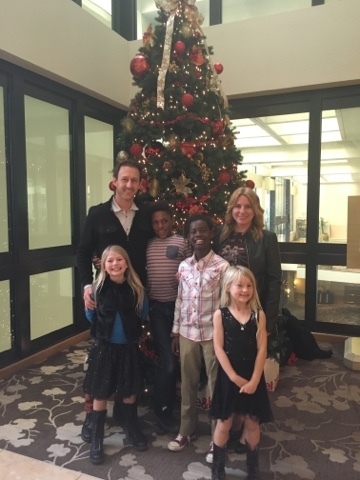 I hope you and yours had a great holiday! Merry Christmas! Looks like a lovely holiday. Here's to a Happy New Year.